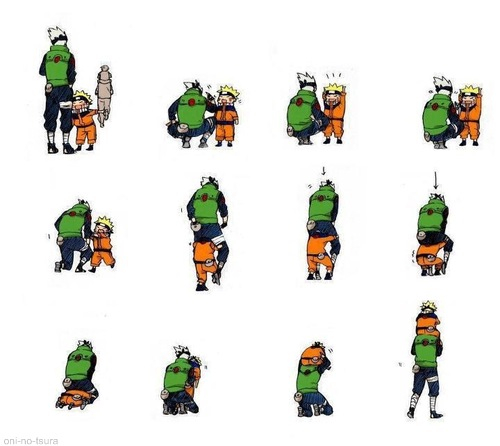 Piggyback with Kakashi and Naruto. So cute! Read from left to right.. Wallpaper and background images in the Naruto club tagged: naruto anime kakashi hatake uzumaki kakashi hatake naruto uzumaki ninja. So cute! Read from left to right.